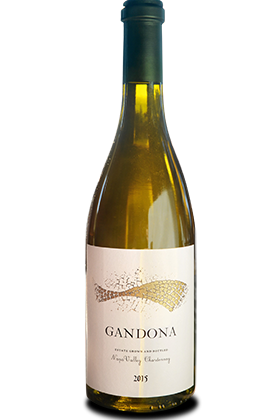 One of the finest examples of the site to date, the 2015 Gandona Chardonnay displays vivacious energy all around: on the nose orange blossom, lemon chiffon, nectarine and honeysuckle leap from the glass, fattened slightly by lanolin and beeswax. Textural but light on its feet in the mouth, undertones of honeyed apple and vanilla bean are superimposed by quince jam, pomelo and white peach, all carried by mouth-watering acidity that persists throughout the incredibly long finish. An exceptional Chardonnay that will certainly hold its weight over time.